There sure is a lot of blame being passed around. A lot of finger-pointing. 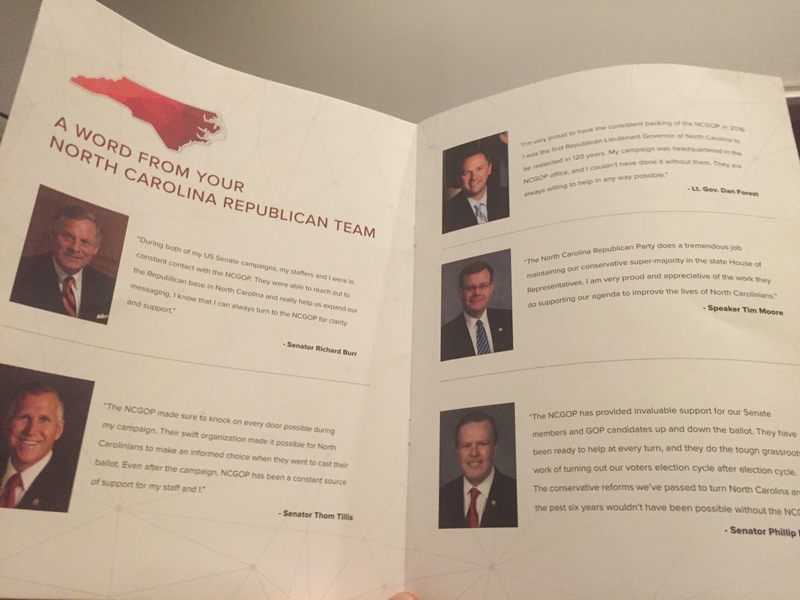 “First, this self-aggrandizing report was sent to NCGOP members and prospective donors at the expense of the NCGOP. 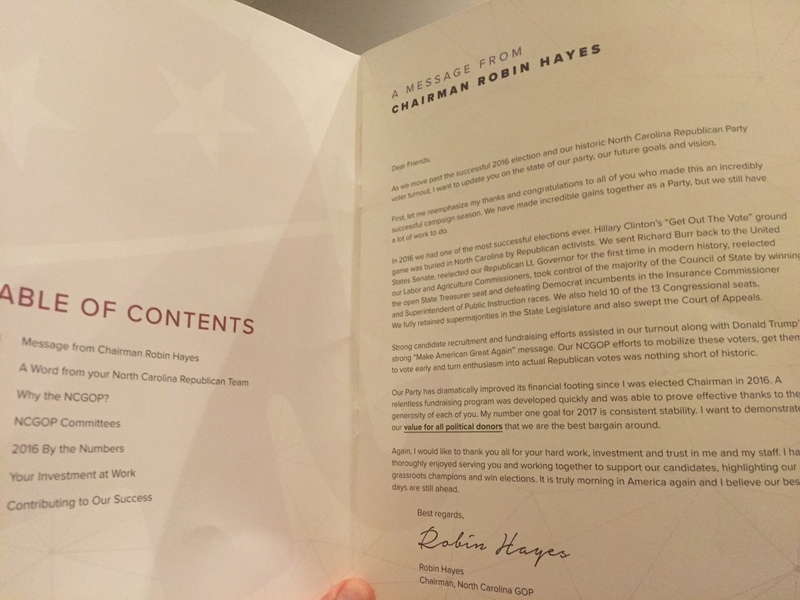 I’m sure Mr. Hayes believes it legal (even if unethical) to send such a report to members of the NCGOP just prior to the 2017 election. 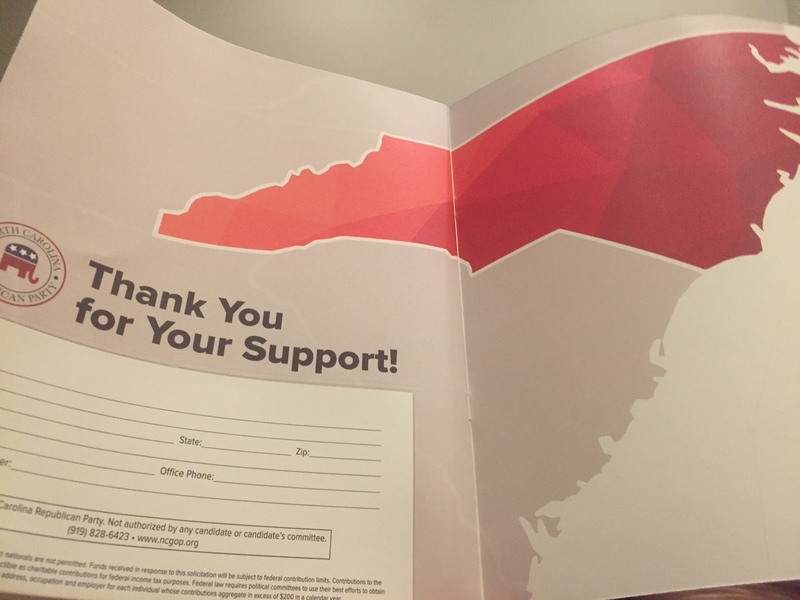 In other words, he is using this party-funded mailer as free promotion of his meager accomplishments in the 2016 election cycle in hopes it helps him secure more votes for his re-election bid. Third, Mr. Hayes is crowing only about the races we won in 2016, failing to note Republicans lost control of two branches of government – Executive and Judicial – under his watch in 2016. Fourth, in a rare instance of goal-setting, Mr. Hayes brags about setting the objective of raising $750,000 this calendar year for the NCGOP.